The presumption of the Chinese Communist Party (CCP) is that wherever it enforces the national flag to fly, those living below it will worship it – and all that it represents. That’s why government officials are so hell-bent on making churches fly the national flag. 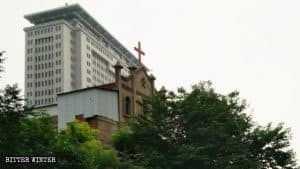 Like the Three-Self churches in Dongying city, in Shandong Province, in eastern coastal China. As believers said, as early as last October, national flags were successively erected at several local churches. 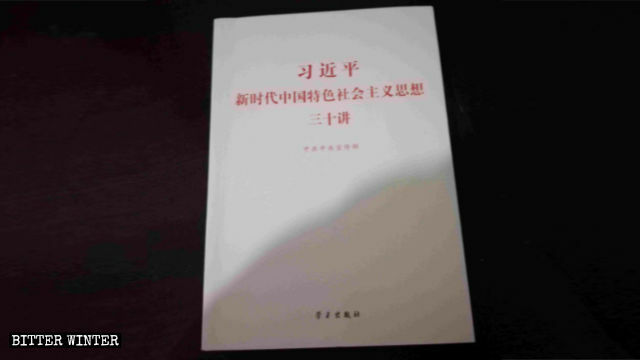 The Religious Affairs Bureau apparently also issued propaganda materials promoting the “four requirements” – a nationwide campaign, adopted in June 2018, to promote the “sinicization” of religion – to believers and demanded they learn and recite them from memory. 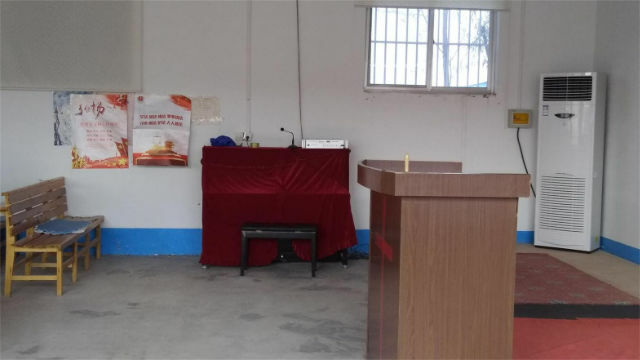 A propaganda poster of the core socialist values posted in a Three-Self church in Dongying city’s Kenli district. What the officials are really asking, to the extreme difficulty of the believers, is to replace the Bible’s tenets with those of the core socialist values. And they’re trying to do so by lying – like telling believers that these values are the common pursuit of an ideal world and that this ideal world is similar to the one the Christians already believe in. In fact, the “four requirements” materials essentially allege to having the same values. But if that were true, the government wouldn’t be on its mission to eradicate religion, right? On December 29, 2018, religious leaders in Binzhou city in northern Shandong attended a meeting held by the Ethnic and Religious Affairs Bureau. At the meeting, the main topic was the book, The Art of War, ancient Chinese military essay, attributed to military strategist Sun Tzu. 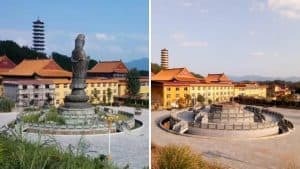 Officials asserted that the “wisdom” of historical figures should be respected and that the national culture of the country should be promoted. Attendees were told that each religion should study The Art of War, causing discontent among the religious leaders. 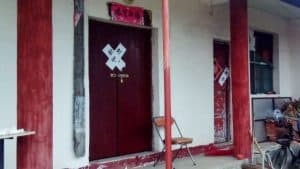 According to sources, on January 6, 2019, nine people, including local police officers and sub-district officials, stormed into the meeting venue, forcibly recorded and photographed the believers and registered their cellphone numbers. 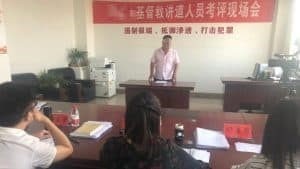 The believers were also ordered to hold their gatherings in accordance with government regulations in the future and to study Xi Jinping’s speeches first at gatherings. “The government is trying to indoctrinate us mandatorily. They want to control us completely,” one elderly Christian said. 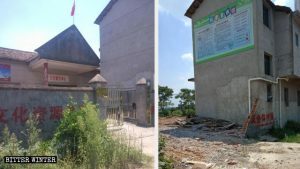 It also appears that the CCP is especially keen on enforcing the requirement to put traditional paintings and calligraphic works onto church buildings, as well as displaying all kinds of atheist books in churches. And the believers aren’t happy about it. “According to the Old Testament, Hezekiah’s son Manasseh placed the image of Asherah and carved idols in the temple of God, thus staining the temple of God. In the end, he was punished by God. 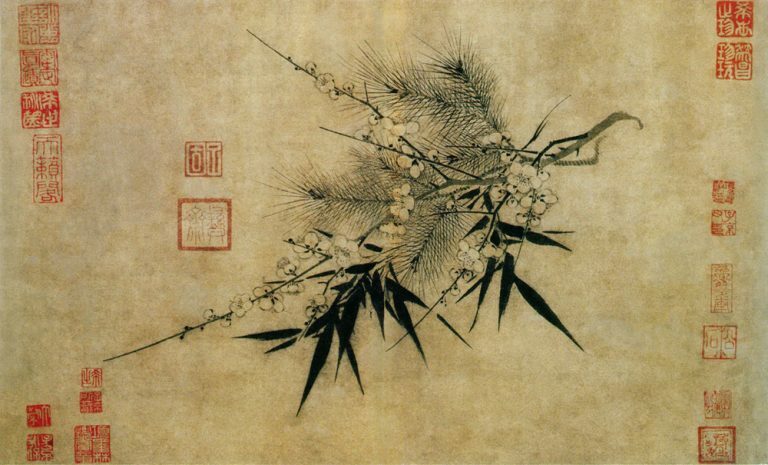 Thus, these traditional paintings and calligraphic works should not be posted in the churches. 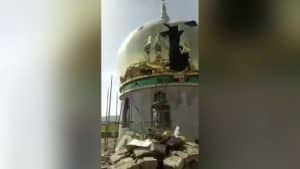 By moving idols into the temple, they are committing an offense against God,” a Three-Self church co-worker said.